The Corolla E110 was the eighth generation of cars sold by Toyota under the Corolla nameplate. Introduced in May 1995, the eighth generation shared its platform (and doors, on some models) with its predecessor. Due to a recession, Toyota ordered Corolla development chief Takayasu Honda to cut costs, hence the carry-over engineering. For the general market, the Corolla was offered in Base, XLi, GLi, and SE-G trim levels. This was the last Corolla generation to have an equivalent Sprinter model, and the Levin sports package upgrade. The Sprinter Carib wagon was identical to the European Corolla wagon and was only available in Japan as a Sprinter. The previous generation E104 Corolla Touring Wagon continued to be sold alongside it. The Sprinter, exclusive to Toyota Auto Store Japanese dealerships was renamed the Toyota Allex and was modified from a sedan to four-door hatchback. Japanese models received minor changes in April 1997 with new nose, tail, and interior. The rear panel is totally different, therefore the trunk and tail lights are not interchangeable between the old and facelift models. The new Japanese rear panel is the same as the European model. Japanese models were replaced by the E120 in 2000. 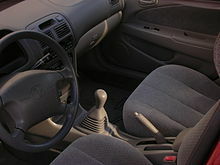 Introduced in 1997 (1998 model year), all Corollas for the North American market were built in Fremont, California (by NUMMI) or Cambridge, Ontario (by TMMC). Unlike the Japanese counterparts, the North American Corolla at this time was only offered as a four-door compact sedan. A new all-aluminum 1ZZ-FE engine powered all Corollas, making this generation lighter than its predecessor. This new engine uses a timing chain instead of a timing belt. It also incorporated laser etched valve guides directly in the block, rather than the old shrink to fit valve guides in the predecessor Corolla motor (4A-FE & 7A-FE). This prevents oil burning and valve guide failure in the future. In North America, only sedans were offered, and all came with day-time running lights. This Corolla has a maximum legal carrying capacity of 1,500 lb (680 kg). Grades were VE, CE, and LE. The VE model was the base model available in a 3 speed automatic or the 5 speed manual transmission with 175/65R14 tires. The CE model offered either the 4 speed automatic with overdrive or the 5 speed manual transmission, while the LE offered the 4-speed automatic, but both offered 185/65R14 tires. An optional powered sunroof was offered on the CE and LE models. An optional Touring Package with color matched side skirts, color matched rear mudflaps, a white faced instrument cluster with tachometer and outside temperature gauge, and aluminum wheels was reserved for the VE, CE, and LE models. Side airbags and ABS were optional for the CE and LE models, but very few of them actually had them. The first batch of 1998 Corolla VE's did not have a front sway bar but by June 1998 it was included on all models. VVT-i variable valve timing and individual coils for each cylinder were added to the engine in model year 2000 with a small increase in power from 120 hp (89 kW) to 125 hp (93 kW) along with child seat anchors added on the rear deck. The introduced VVT-i optimizes cam and valve timing to reduce emissions, and the addition of individual coils for each cylinder helped control spark timing to each individual cylinder. For the 2001 US model year (2000 calendar year), the VE was replaced by a new S model. The CE now became a base model still offered in 5 speed manual or 3 speed automatic transmission and the sporty S served as the new Touring Package which can be had with a 5 speed manual or 4 speed automatic transmission. The 2001 model year also got a slight refresh with the new front headlights/corner lights, redesigned front bumper, auxiliary DC power port with a higher armrest (LE and S models), inside trunk release for accidental lockouts in the trunk, new controls for the air conditioner that had the rear glass defrost button relocated with a button for the recirculation of air, and round reverse lights. The 'sportiness' of the S model built upon the VE models with a gauge cluster with tachometer in a red/black theme with an outside temperature gauge, the lighter-weight 3-spoke steering wheel as used in the Toyota Celica of the same model year, a charcoal gray and black interior with lighter seats, standard front fog lamps, color matched side skirts, color matched rear mudflaps, color matched door handles and side mirrors, a color matched front grill, a trunk release lever next to the gasoline cap door lever (but not on the remote fob), a trunk light, 14" 'S' model wheel covers, and lighted map lights on the rear view mirror. The S model lacked the 60/40 folding rear seat, power mirrors, reading lamps or tilt steering found in the LE model, in order to maintain a very small weight difference over the VE model it replaced. As such, no sunroof option was available on the S models. The 'S' model had very minimal if any performance advantage over the other models, outside of slightly larger tires, and a slightly stiffened rear suspension, for a minor improvement in handling: it was mainly a styling and appearance package. The 2002 model year was short and was only produced until the end of 2001 to make way for the redesigned model which launched in early 2002 for the 2003 model year. Toyota official accessories available through dealerships for all trim of the 8th generation Corolla included a color-coded rear spoiler with LED brake light, front bumper bar, 6 disc CD changer, sunroof sunshade, trunk cargo net, keyless entry car alarm, cruise control, gold emblem kit, wood trim dash kit, and black rubber mudflaps. This range had different front and rear ends to the Japanese models, though the sides and interior remained mostly the same. It can be distinguished by the round headlights and mesh grille. As a result, a sporting model with a six-speed gearbox was offered. The European three door hatchback is the base for the Corolla World Rally Car (WRC) that competed in the World Rally Championship from 1997 to 2000. In Australia the Corolla liftback is called Seca. Grades for sedan and Seca are Ascent, Conquest, and Ultima. New Zealand market E110s had the 1.3 L (1,331 cc) 4E, the 1.5 L (1,498 cc) 5A-FE, 1.6 L (1,587 cc) 4A-FE or 1.8 L (1,762 cc) 7A-FE petrol engines or the 2.2 L (2,148 cc) 3C-E SOHC diesel engine as at 2000, whereas Australia only offered the 7A-FE, with a unique turbocharged Sportivo model offered in 2001. In 1997, the Corolla Spacio, with its body panels stamped at long-time Toyota supplier Kanto Autoworks, was introduced as a two-box minivan version and sold as the Corolla Verso, which was technically similar to the Avensis in Europe and the Spacio in New Zealand. The E110 was the last generation of Corolla to have an upmarket Sprinter Carib offshoot; for Oceania this was based on the five-door station wagon. The 3-door hatchback was not sold in Japan, Australia or New Zealand. In New Zealand, until late 1998, CKD kits were brought in from Japan and assembled in plants located in Thames and Christchurch. Locally produced components were also used, and included items such as tyres, seats, trims, and glass. In Britain, the models were 1.3 and 1.6 GS, 1.6 GLS, 1.6 CD and 2.0D GS. This generation received a facelift in 1999, featuring a different nose, and the new ZZ series engines with VVT-i replacing the old A series engines, except in Australia. The facelift also saw Toyota's own 2.0 diesel unit being replaced by a Peugeot-sourced 1.9-litre naturally-aspirated diesel. The same vehicle was used as a taxicab in Singapore, although the North American version was offered in the private car market. The new "facelift" E110 came with its own new set of optional extras( these however came standard on the SR models ) The Optional Extras included: Front Foglights, Front 'Sports Grill', Plastic Front Lip, Red&Black Interior(Same seat shape as other models), Honeycomb & Silver Dash Dials, OEM 15" Alloy Wheels(Choice of Style), Sunroof, Aluminium Pedals, 6 CD Changer and Sat-Nav built -in headunit. This generation of the Corolla was launched in early 1996. Initially it was offered in XLi, SE-G, and S-Cruise grades, all powered by the 1.6-liter 4A-FE engine. The SE-G and S-Cruise came standard with airbags, which made them the first cars to offer this safety equipment in the Indonesian compact car segment. The facelifted 1.8 XLi and 1.8 SE-G came in late 1998. In addition to the bigger 1.8-liter 7A-FE engine, the Corolla received new front and rear body panels, upgraded interior, and ABS was also standard on the SE-G.
On the island of Batam, where used imports from Singapore are popular, the Corolla GLi E110 is one of the most common models, in the private car and taxi segment. Together with the local XLi and SE-G, the Singaporean GLi are common sights in this island. The majority of the E110s are the facelifted North American/Japan/Asian models, although there are a few pre-facelift 1995 models. In Malaysia, the Corolla E110 was offered in 3 grades, XLi, SE-G, and S-Cruise in 1996. All were powered by the 1.6-liter 4A-FE engine. The SE-G and XLi came standard with airbags. A facelift was offered in 3 grades, SE-G, XLi and GLi variants was offered in 1998. In addition to the bigger 1.8 liter 7A-FE engine, the Corolla received new front and rear body panels, upgraded interior, and ABS was also standard on the SE-G. In the Philippines, the Corolla had 3 grades – the base 1.3 XL, the 1.3 XE and the 1.6 GLi, all launched around December 1997. The XE and GLi variants were given a facelift in 2000, and the name Corolla Altis (the name the Corolla in the Philippines bears now) was introduced for the new 1.8 top-of-the-line model. All were sold until mid-2001, except the XL. The XL came with a 2-spoke urethane steering wheel, wind-up windows, a 5-speed manual transmission, 13" steel wheels, no tachometer and no digital clock. It was sold together with the next generation Corolla Altis until 2005, when from then on it was only sold to Rent-a-car companies and Taxi operators until it was replaced by the Vios J. The 1.3 XE was the same as the XL grade with a dual SRS airbag (unusual for a 1.3-liter car that it doesn't offer it even as option on other competitors) & 14" alloy wheels. The 1.6 GLi was for the top-of-the-line market segment, offering power windows and locks, a spoiler (optional), a digital clock, and a choice of a 5-speed manual or a 4-speed automatic transmission. The E110 was one of the best-selling cars during its time in Singapore. Many of these cars were exported to Batam for use as taxis in the 2000s. The pre-facelift E110 is still in use as a police car as of June 2011. In Thailand, the Corolla E110 was launched in 1996. It was initially offered in GXi, SE-G, and DXi trim levels — all were powered by the 1.6-liter 4A-FE engine. The SE-G and DXi came standard with airbags, which made them the first cars in the Thailand compact care segment to offer this safety equipment. A facelift model appeared in 1998, offered in three grades: XLi, GLi, and SE-G. In addition to the bigger 1.8 liter 7A-FE engine, the facelifted Corolla received new front and rear body panels, upgraded interior, and ABS was standard on the SE-G. The Toyota Corolla WRC (World Rally Car) is special purpose rally car based on the European Corolla 3 door Hatchback, and powered by a modified 3S-GTE engine and 4WD system from the Toyota Celica GT-Four ST205. It was launched in July 1997, and made its debut in the 1997 Rally of Finland with 1994 World Rally Champion, Didier Auriol, and Marcus Grönholm behind the wheel. For 1998 WRC season, double World Rally Champions Carlos Sainz and Luis Moya joined the Toyota Team Europe, and won the 1998 Monte Carlo Rally. It was the first victory for the Corolla WRC. Didier Auriol won the 1999 China Rally, and Toyota won the 1999 manufacturer's title while the company stopped participating in rallying, in order to prepare for a switch to Formula One in 2002. ^ Matthew-Wilson 2010, p. 698. ^ "Toyota Corolla WRC Specs (1997)". rallycars. Retrieved 2010-01-10. Matthew-Wilson, Clive (ed). The Dog and Lemon Guide: 2010 Edition. Auckland, New Zealand: Publications (2008) Ltd., 2010. Wikimedia Commons has media related to Toyota Corolla (E110).